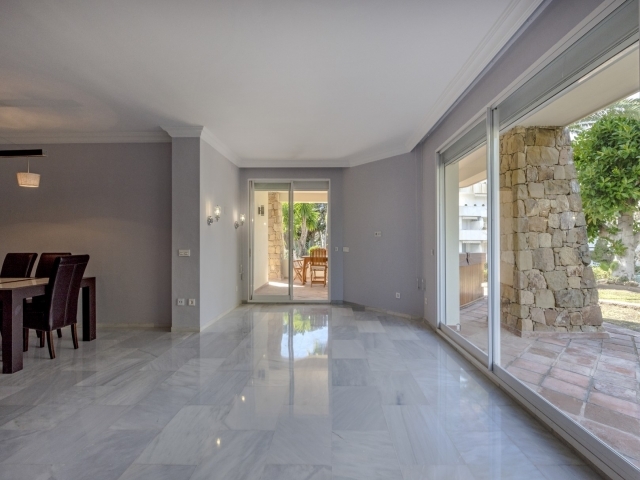 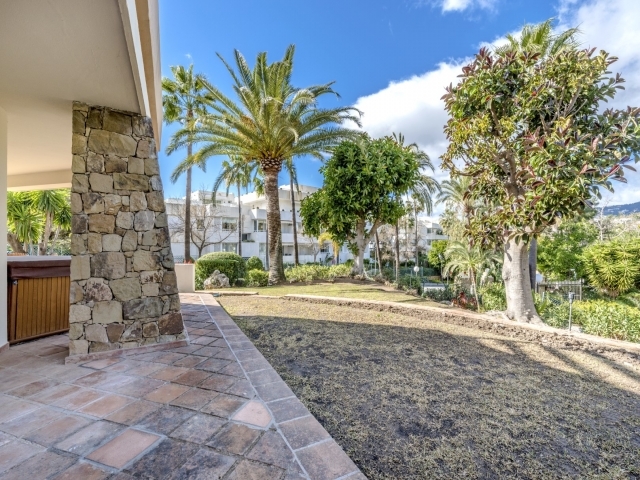 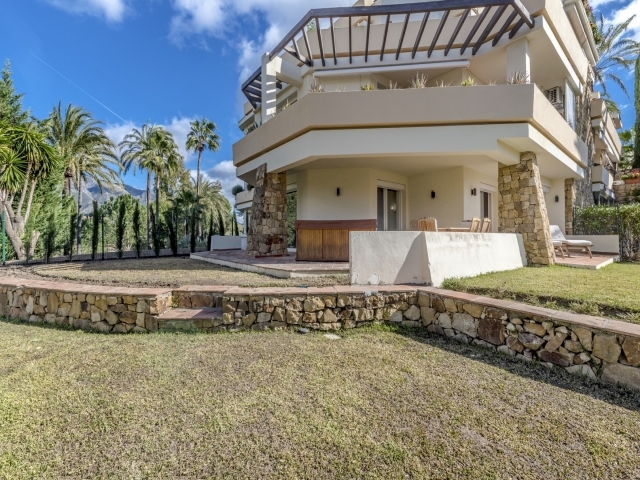 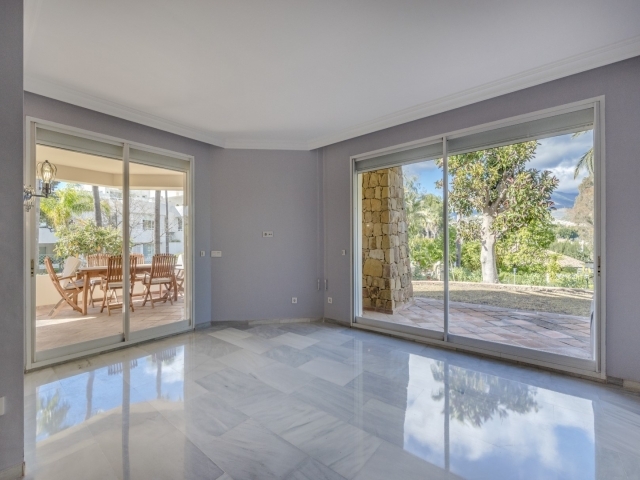 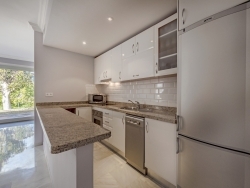 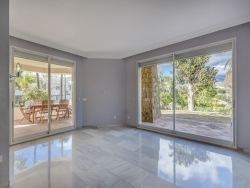 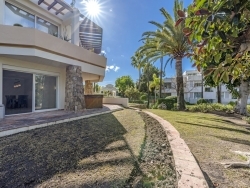 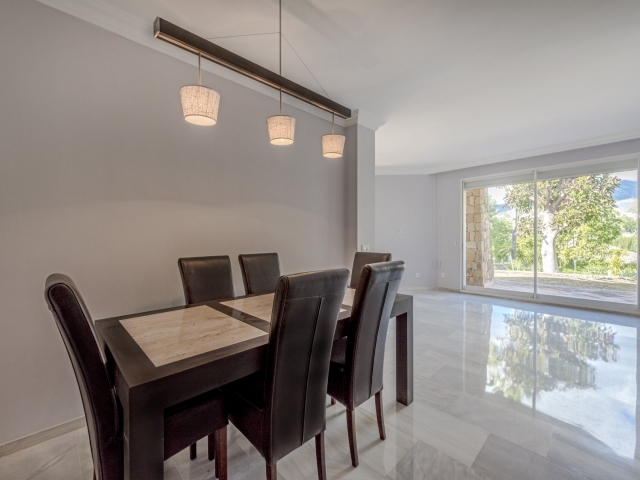 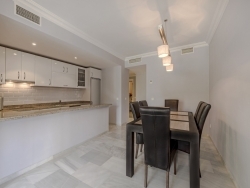 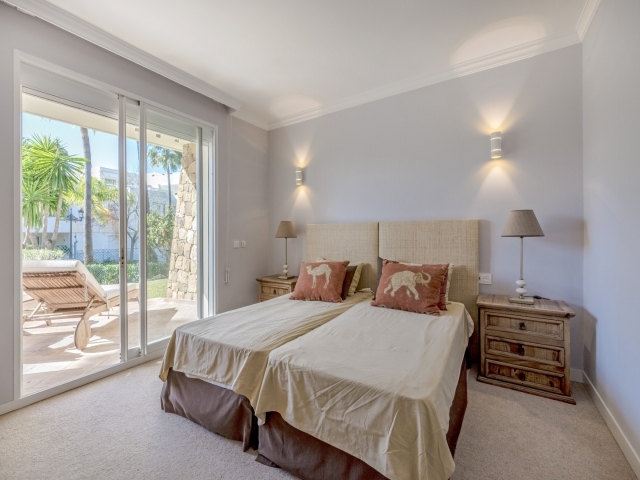 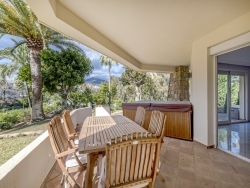 Two bedroom ground floor corner unit for sale in Hotel del Golf, Las Brisas. 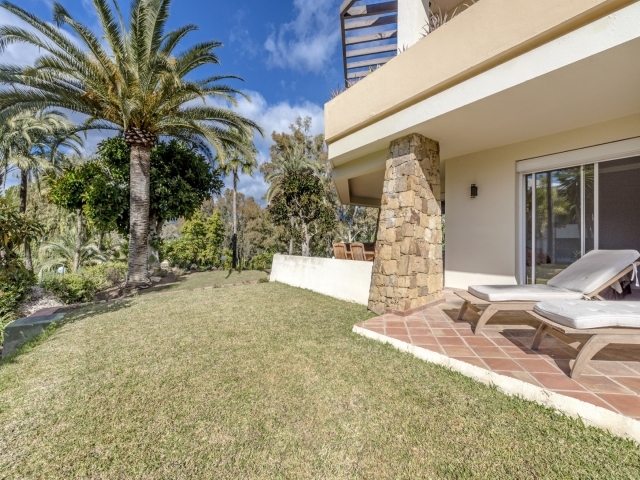 Situated right in the heart of the Golf Valley, Hotel del Golf enjoys an enviable location with various golf courses on its doorstep. 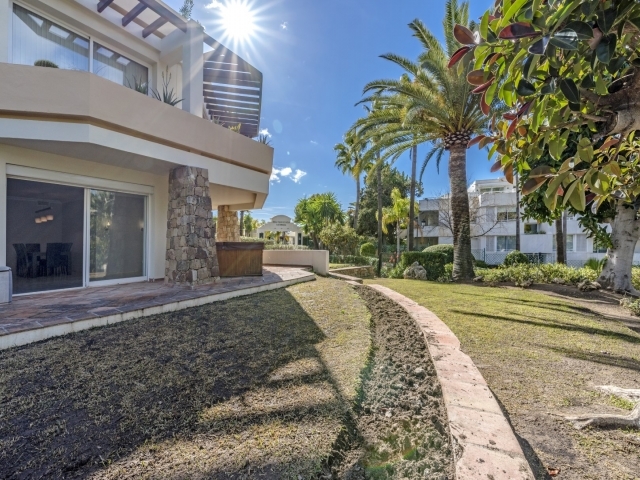  The development boasts beautiful gardens, a lovely communal swimming pool which is heated all year round, gated security and a 24 hour security guard. 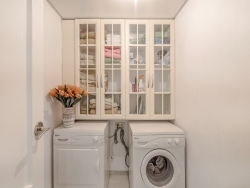 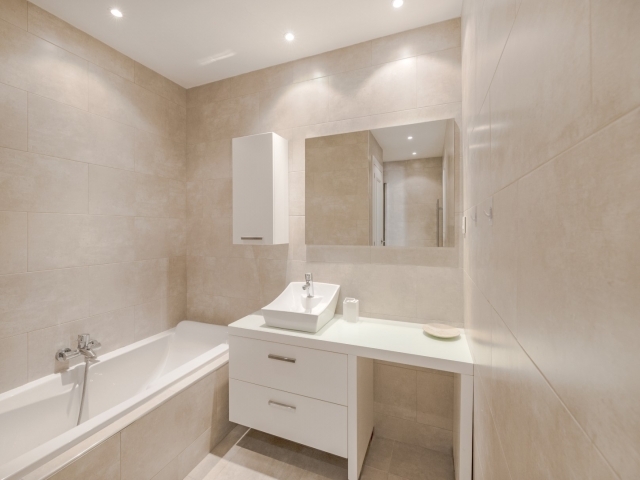 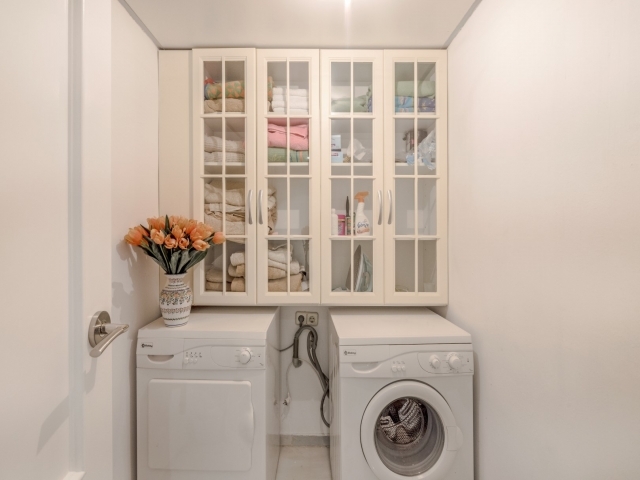 This unit has been renovated with a chic contemporary style. Accommodation comprises an open-plan living/dining room and kitchen with breakfast bar, two double bedrooms and a bathroom. 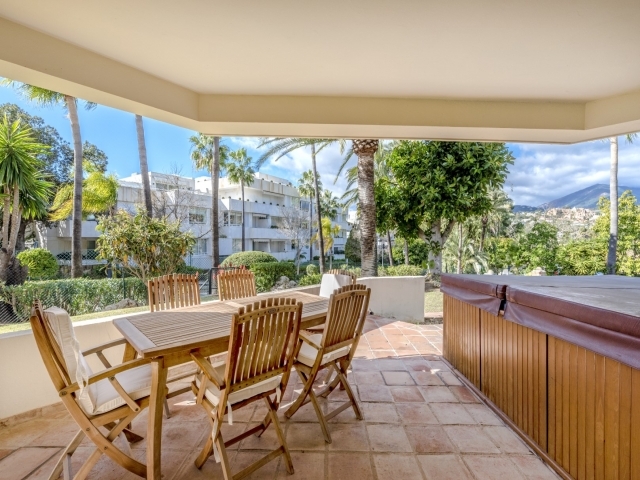 The terrace is a good size and provides the perfect spot sunbathing and dining outdoors, leading to a private garden. 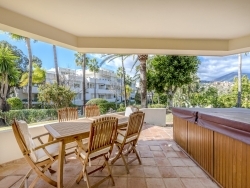 Nueva Andalucia is situated just a ten minute drive to Puerto Banus; Marbella and San Pedro are both easily accessible by car; and forty five minutes from Malaga airport. Hotel del Golf is a very popular choice for holiday makers due to the on-site facilities and security. 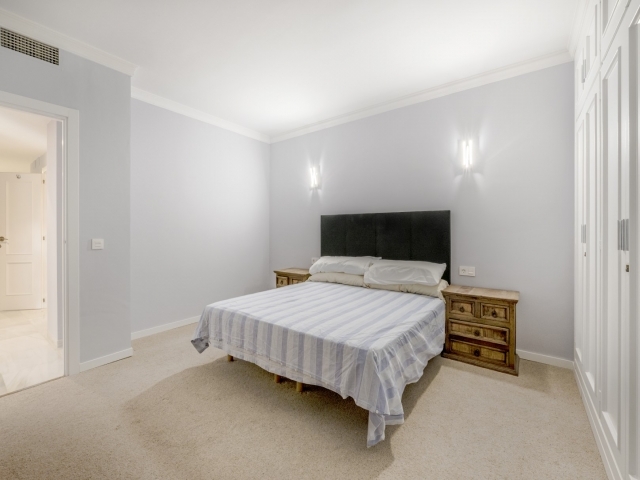 This refurbished garden apartment therefore offers excellent rental potential.